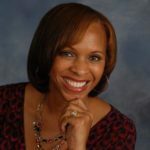 Courtney Akl in, Ph.D., serves as the Chief of Staff at the National Institute on Minority Health and Health Disparities (NIMHD), helping develop and implement strategic initiatives designed to fulfill the Institute’s vision and mission. In addition, Dr. Aklin oversees the management of NIMHD’s communications, outreach, and legislative activities. 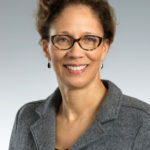 Prior to taking on the role as Chief of Staff, she was a Program Director at the National Institute of Neurological Disorders and Stroke (NINDS), where she designed and managed programs to augment and strengthen emerging neuroscience research programs at universities and medical schools committed to increasing diversity in the biomedical workforce. Dr. Aklin is a licensed clinical psychologist who holds a Ph.D. in clinical psychology from the University of Maryland, College Park, and a B.A. in business administration and psychology from the University of Richmond. Elder Sarah Bailey is the Executive Director of Bridges into the Future, a community faith-based organization in Flint, Michigan. She is an ordained Minister and Elder with the Full Gospel Baptist Church International Fellowship. She is a local and national leader and expert in implementing community-based participatory research (CBPR) and building the capacity of community-based organizations (CBOs) and community members to participate as equal partners in research. She is the Vice Chair of Community Based Organizations Partners (CBOP). Nancy Breen, Ph.D., works in the Office of the NIMHD Director where she co-leads the Science of Health Disparities Visioning Process, especially related to methods and measurement science in health disparities research. She also works on other projects designed to make data more accessible and to improve methods for health disparities research. 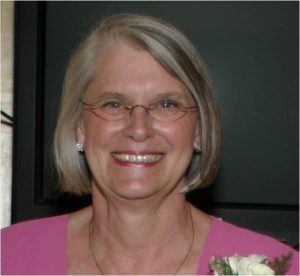 Prior to joining NIMHD, Dr. Breen spent more than 20 years at the National Cancer Institute, where she designed and managed research programs, developed and disseminated data analysis tools, identified ways to more effectively use survey data to support health disparities research; and disseminated written and oral findings to a range of audiences. Her cancer control focus was on access to screening because it is the initial point of patient access to medical services for screenable cancers, which in turn determines treatment options and can lead to disparities in survival and mortality. She has published more than 100 peer-reviewed articles. 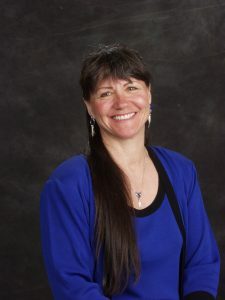 Linda Burhansstipanov, (Cherokee Nation of Oklahoma), Dr.P.H., is the founder of the Native American Cancer Research Corporation and president of Native American Cancer Initiatives, Inc., in Pine, Colorado. She is also a member of the National Advisory Council on Minority Health and Health Disparities at NIMHD. Dr. Burhansstipanov has worked in public health since 1971, primarily with Native American issues, and taught at universities for 18 years. She developed and implemented the Native American Cancer Research Program at the National Cancer Institute from 1989 to 1993. She is currently the principal investigator and subcontractor for five NIH grants. She serves on multiple federal advisory boards and has produced numerous peer-reviewed publications, most addressing Native American cancer, public health, and data issues. Dorothy Castille, Ph.D., is a Health Science Administrator in NIMHD’s Division of Extramural Scientific Programs. As a program director, Dr. Castille manages the Loan Repayment Programs, projects focused on Social Epidemiology, immigrant health, and community health issues related to American Indian/Alaska Native communities and serves as Project Scientist on U54 Transdisciplinary Collaborative Centers for Health Disparities Research. Victoria Chau, Ph.D., is a public health analyst at the Substance Abuse and Mental Health Services Administration (SAMHSA) in the Office of Behavioral Health Equity and the Office of Policy, Planning and Innovation. Victoria is working to achieve the highest level of behavioral health for all populations through addressing five key areas: policy, data, communications, workforce development, and customer service. In her role at SAMHSA Dr. Chau serves as a subject matter expert in health equity, health disparities, and Asian American mental health and lead’s Office of Behavioral Health Equity’s data efforts. Dr. Chau earned her B.A. in Anthropology and her M.P.H. with a concentration in social and behavioral sciences from the University of Florida, her Ph.D. from the Johns Hopkins Bloomberg School of Public Health in the Department of Health, Behavior, and Society, and has earned her CPH (Certified in Public Health). Kelvin Choi, Ph.D., M.P.H. is a Stadtman Tenure-Track Investigator. He investigates disparities in tobacco use and tobacco product use patterns among minority populations. Dr. Choi also examines how tobacco marketing (including price, placement, promotion, and products) influences tobacco use disparities and how to leverage marketing approaches to reduce tobacco use disparities, particularly among young adults. Dr. Choi and his research team are also studying the physiological and neurological responses to tobacco marketing materials among smokers, to inform both how best to regulate these materials and how best to design anti-tobacco messages. Dr. Choi is currently working with collaborators to develop a computer simulation that can forecast the potential impact of tobacco marketing regulations on tobacco use disparities. Sherine El-Toukhy, Ph.D., MA., aims to improve minority health and reducing health disparities through digital public health interventions. She has a decade’s worth of experience in health communication campaigns and interventions funded by national and international organizations such as the Egyptian Ministry of Health and Population, Ministry of Environment, UNICEF, and USAID. 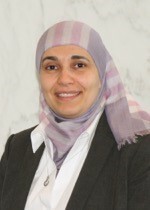 Dr. El-Toukhy is a recipient of several research awards including a visiting scholar award from Cairo University, Egypt; a William R. Kenan Jr. fellowship from the University of North Carolina at Chapel Hill; and the 2013 Health Dissertation of the Year award from the National Communication Association and the International Communication Association. Her research has been funded by The National Science Foundation and The National Institute on Minority Health and Health Disparities. Dr. El-Toukhy received her doctorate from the University of North Carolina at Chapel Hill in Mass Communication where she also earned a graduate certificate in Interdisciplinary Health Communication. She holds a Master’s in Mass Communication and Bachelor’s in Broadcast Journalism from Cairo University, Egypt. She completed her postdoctoral fellowship in the Intramural Research Programs of The National Heart, Lung, and Blood Institute and The National Institute on Minority Health and Health Disparities. Marcia M. Gómez, M.D., is a Health Science Policy Analyst who studies minority health, social determinants of health, access to healthcare, health disparities, and health equity. Her work has spanned many areas related to minority health, including HIV/AIDS; substance abuse; mental health; immigrant populations, including migrant farmworkers; women’s health; and maternal and child health. 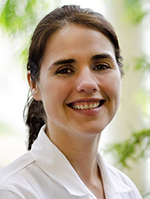 Dr. Gómez completed her undergraduate studies at Colby College in Waterville, Maine, and received her M.D. from Ross University School of Medicine in Portsmouth, Dominica. She joined the National Institute on Minority Health and Health Disparities in 2013. 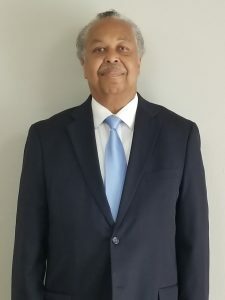 Wayne T. Harris, Ph.D., serves as contact principal investigator for the Hampton University Minority Men’s Health Initiative and as dean of Hampton University’s School of Pharmacy, which confers the Pharm.D. degree to the largest percentage of African Americans in the country. Dr. Harris is a licensed pharmacist in the state of Georgia who has spent nearly 40 years as a pharmacy educator, administrator, researcher, and practicing pharmacist. He received his B.S. in pharmacy in 1974 from Mercer University Southern School of Pharmacy and his M.S. and Ph.D. in medicinal chemistry from the University of Kansas in 1977 and 1979, respectively. Prior to joining Hampton University in 2010, he served as professor in the Division of Basic Pharmaceutical Sciences of the Xavier University of Louisiana’s College of Pharmacy from August 2009 to May 2010 and as professor and dean of the College of Pharmacy from January 2001 to August 2009. During his tenure as dean at Xavier, he was instrumental in establishing the NIH-supported Center for Minority Health and Health Disparities Research and Education and served as its founding director. 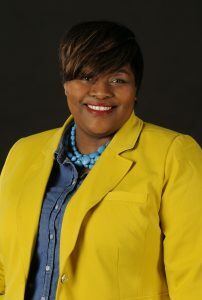 Tiffany Haynes, Ph.D., is an Assistant Professor in the Department of Health Behavior and Health Education at the University of Arkansas for Medical Sciences (UAMS) Fay W. Boozman College of Public Health. Dr. Haynes is a clinical psychologist with expertise in mental health services research, intervention development, and community-based participatory research (CBPR). Her research broadly focuses on improving access to and use of mental health services in rural and underserved communities. Dr. Haynes has served as the PI or Co-Investigator on several NIH and PCORI funded grants examining the feasibility of working with faith communities to improve mental health service use. Specifically, Dr. Haynes is currently the Principal Investigator on a NIMHD funded U01 that aims to test the effectiveness of a faith-based depression intervention within rural African American churches. Roselyn Hicks, M.D., a board certified pediatric and adult allergist/immunologist, is a visiting clinician scholar at National Institute on Minority Health and Health Disparities. She is an adjunct assistant professor in the Department of Pediatrics at the University of North Carolina at Chapel Hill, who has mentored and taught medical students, residents and fellows during 15 years of private practice. Her research and extensive patient care experience have included asthma, allergic rhinitis, food allergy and atopic dermatitis. Dr. Hicks is an active patient advocate, who has organized and participated in various community outreach experiences particularly to reach underrepresented minorities and underserved individuals. Her special interest in sharing allergy and health awareness is present via online video, local news affiliate interviews, health system workshops and YMCA forums. She received her B.A. from Hampton University and M.D. from East Carolina Brody School of Medicine. Her pediatric residency and allergy/immunology fellowship training were both completed at University of South Florida School of Medicine, Tampa/St. Petersburg, Florida. 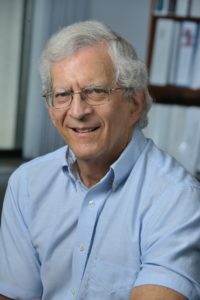 Richard J. Hodes, M.D., is the director of the National Institute on Aging (NIA) at the National Institutes of health (NIH). Dr. Hodes, a leading researcher in the field of immunology, was named to head the NIA in 1993. The NIA leads the Federal effort supporting and conducting research on the biological, clinical, behavioral and social aspects of aging. Dr. Hodes has devoted his tenure to the development of a strong, diverse and balanced research program. This has led to new and innovative ways to conduct research, share data and translate findings into practice. Basic biologic research is examining genetic and other factors influencing aging, how they affect longevity and the development of age-related diseases. Research in geriatrics is uncovering new ways to combat frailty and improve function with age. Behavioral and social research is deepening understanding of the individual behaviors and societal decisions that affect well-being. Dr. Hodes also directs the Federal effort to find effective ways to treat or prevent Alzheimer’s disease, as the NIA is the lead NIH institute for this mission. Cutting edge research conducted and supported by the NIA, often in collaboration across institutes at the NIH, has helped to revolutionize the way we think about Alzheimer’s disease and related dementias. Studies in genetics, basic mechanisms, imaging and biomarkers have spurred the development of potential therapies aimed at a variety of targets and the testing of interventions at the earliest signs of disease. Dr. Hodes’ research laboratory in the National Cancer Institute focuses on the cellular and molecular mechanisms that regulate the immune response. Additional background is available at the lab’s website. A graduate of Yale University, Dr. Hodes received his M.D. from Harvard Medical School. 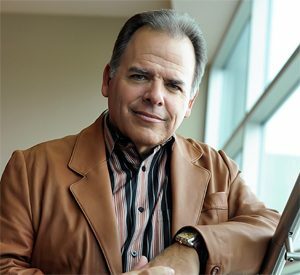 He is a Diplomate of the American Board of Internal Medicine, a member of The Dana Alliance for Brain Initiatives, a Fellow of the American Association for the Advancement of Science and a member of the National Academy of Medicine at the National Academies of Sciences, Engineering and Medicine. Regina Smith James, M.D., is the former Director of Clinical and Health Services Research at the National Institute on Minority Health and Health Disparities (NIMHD). In this capacity, she oversaw health services research, research on minority health and health disparities in clinical settings, and patient–clinician communication. She served as the Acting Associate Director for Clinical Research and Data Management. 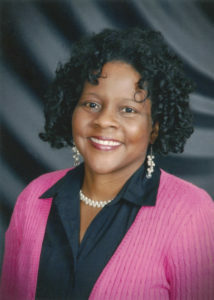 Prior to coming to NIMHD, Dr. James served as the Director of the Office of Health Equity at the Eunice Kennedy Shriver National Institute of Child Health and Human Development, where she developed and implemented national and international programs promoting health for children and families. Dr. James received both her B.S. in psychology/biology and her M.D. from the University of California, Los Angeles. She completed a residency in general psychiatry and child and adolescent psychiatry at the Cleveland Clinic Foundation. 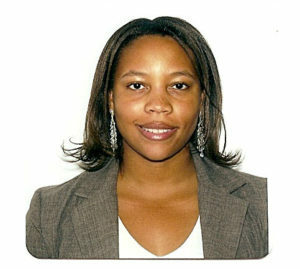 She has conducted and published clinical research in the areas of health disparities and child/adolescent mental health. Her research interests include understanding and addressing how individual and population-level determinants affect health status and access to and quality of healthcare across the lifespan. Lenora E. Johnson, Dr.PH., M.P.H., is director of the Office of Science Policy, Engagement, Education and Communications, at the National Heart, Lung, and Blood Institute (NHLBI) of the National Institutes of Health (NIH). She earned her master’s degree in public health from Emory University and her doctorate degree from George Washington University. Dr. Johnson joined NHLBI in December of 2013 having spent her most recent tenure at NIH with the National Cancer Institute as the director for communications and education, providing more than a decade of leadership service to that Institute. For 30 years she directed initiatives focusing on minority health, research dissemination, reducing health disparities, global surveillance of health risk behaviors, broadening states’ capacity for social marketing, and capacity building for health promotion and public health education programming. She has extensive experience in working at the national and local levels translating health information into materials, messages, and interventions that reach the most vulnerable populations. Her programs have been implemented through the Lombardi Cancer Center in Washington, DC, the American Association for Health Education, the American Public Health Association, the Kaiser Permanente Health Plan, the American Cancer Society and numerous partnership efforts with community-based organizations serving diverse constituents. 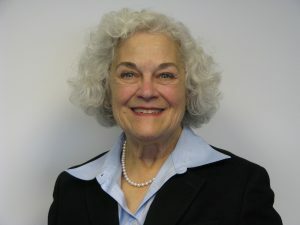 Linda U. Krebs, Ph.D., is a retired associate professor in the College of Nursing at the University of Colorado at Denver, Anschutz Medical Campus. 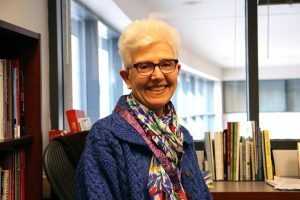 She has been an oncology nurse for more than 40 years, providing direct care, consultation, education, and training to cancer patients, their families, community members, and healthcare providers. Dr. Krebs has collaborated with the Native American Cancer Research Corporation for more than 16 years, focusing on providing up-to-date cancer education to American Indian cancer survivors, patient navigators, and communities. She spent 13 years as director of and practitioner at the University of Colorado Cancer Center’s Cancer Prevention and Screening Clinic, evaluating, educating, and counseling patients about cancer prevention and early detection. She has more than 12 years of experience creating, editing, and evaluating cancer education materials and manuscripts for lay and health professional audiences. 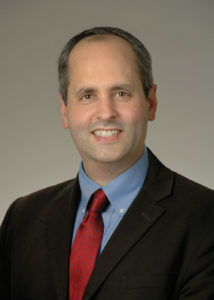 As the NIGMS Director, Jon R. Lorsch, Ph.D., oversees the Institute’s $2.6 billion budget to support research, training, and other programs. Dr. Lorsch is committed to engaging the scientific community on a wide range of topics, including funding policies and trends, research evaluation, and workforce development and diversity. LCDR Kelly Leong is a Program Analyst and a United States Public Health Service officer currently stationed at the Food and Drug Administration (FDA), Office of Commissioner, Office of Operations, Office of Facilities, Engineering and Mission Support Services leading the office’s communication initiatives. 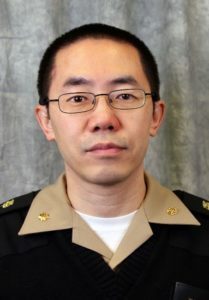 Prior to joining FDA in 2015, LCDR Leong was an Information Technology Specialist at the Centers for Medicare and Medicaid Services oversaw the development of the system infrastructure of the 5 state-based health insurance exchanges under the Affordable Care Act. LCDR Leong earned her B.S. in Biochemistry at California Polytechnic State University at San Luis Obispo, and her Masters of Health Administration from Loma Linda University School of Public Health. 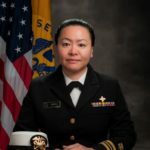 LCDR Leong has been a member of the USPHS’s Asian Pacific American Officer Committee which serves as the AAPI advisory group under the Office of Surgeon General since 2009. Spero M. Manson, (Pembina Chippewa), Ph.D., is a Distinguished Professor of Public Health and Psychiatry; is director of the Centers for American Indian and Alaska Native Health; and holds The Colorado Trust Chair in American Indian Health and is associate dean of research at the Colorado School of Public Health, University of Colorado Denver’s Anschutz Medical Center. His programs include nine national centers in program development, training, and collaboration with 250 Native communities, spanning rural, reservation, urban, and village settings across the country. He has published numerous articles on the assessment, epidemiology, treatment, and prevention of physical, alcohol, drug, and mental health problems over the developmental life span of Native people. The recipient of numerous awards, Dr. Manson is widely acknowledged as one of the nation’s leading authorities on Indian and Native health, and he was elected to the Institute of Medicine in 2002. 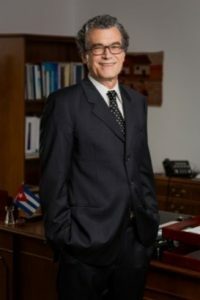 Eliseo J. Pérez-Stable, M.D., is Director of NIMHD at NIH. He oversees the Institute’s $281 million budget to conduct and support research, training, research capacity and infrastructure development, public education, and information dissemination programs to improve minority health and reduce health disparities. Read more about Dr. Pérez-Stable. 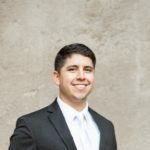 David J. Robles, B.A., is a summer graduate intern at the Substance Abuse and Mental Health Services Administration (SAMHSA) in the Office of Behavioral Health Equity and a second-year Masters of Art psychology student at California State University, Los Angeles. Mr. Robles is broadly interested in studying the psychosocial processes underlying HIV, substance use disorders and psychiatric diagnosis among underserved communities and related behavioral health disparities. Mr. Robles’ graduate work is supported in part through a RISE NIH M.S.-to-Ph.D. Graduate Fellowship. Mr. Robles is also the Vice President for the MORE Programs Student Advisory Committee, a Campus Representative for the APA’s Society for Health Psychology and was recently selected as a Sally Casanova Pre-Doctoral Scholar. Chau Trinh-Shevrin, Dr.P.H., is an Associate Professor in the Departments of Population Health (DPH) and Medicine at NYU School of Medicine. 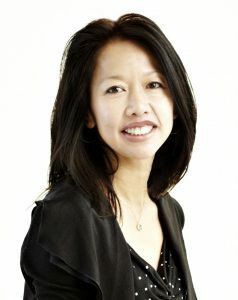 Within DPH, Dr. Trinh-Shevrin serves as Vice Chair for Research and heads the Section for Health Equity. 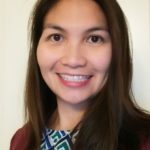 For more than 15 years, Dr. Trinh-Shevrin has been involved in health promotion, disease prevention, and health disparities research programs utilizing community-based participatory research principles for Asian American, Native Hawaiian, and Pacific Islander and other underserved populations. Currently, she is PI of an NIH NIMHD Center of Excellence – the NYU Center for the Study of Asian American Health – and a CDC-sponsored Prevention Research Center that is a partnership between the NYU School of Medicine and the CUNY School of Public Health. As co-director of the Community Engagement and Population Health Research Core for the NYU- Health + Hospitals Corporation (H+H) Clinical and Translational Science Institute, she is involved in fostering community-engaged research collaborations between NYU and its community partners and developing research training programs for community and academic partners aimed to strengthen equitable campus-community partnerships. Dr. Trinh-Shevrin is a social epidemiologist with a doctorate in public health from Columbia University and a master in health policy and management at the State University of New York at Albany. Lesli Skolarus, M.D., is a board-certified, fellowship-trained, vascular neurologist whose research focuses on behavioral trials to reduce health disparities, community-based participatory research and health services research. She holds a Master’s degree in Health and Health Care Research. She is currently the principle investigator of an R01 focused on racial disparities in post-stroke disability and a U01 to increase acute stroke treatment rates in Flint, Michigan. Dr. Skolarus has published over 60 manuscripts and is currently an Associate Professor of Neurology at the University of Michigan. 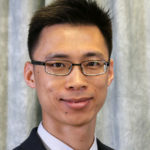 Xinzhi Zhang, M.D., is a Program Officer in the Division of Community Health and Population Sciences. He has extensive medical and research background to studying health outcomes related to minority health and health disparities. His current work includes examining the diverse socioeconomic, racial, and ethnic factors that influence Alzheimer’s disease. Dr. Zhang also helps administrate NIMHD’s RCMI Translational Research Network (RTRN) project, which partners with minority-serving researchers and institutions across the nation to focus on creative ways to address health disparities by sharing data and web resources. Dr. Zhang also works on other data-related projects, such as Big Data to Knowledge (BD2K), which supports initiatives at educational institutions to bring more diversity to the biomedical, behavioral, and clinical research workforces. Dr. Zhang received his medical degree from Peking Union Medical College in Beijing, China, in 1998. In 2003, he earned his Ph.D. in Health Services Administration from the University of Alabama at Birmingham. Zhang is currently a Lieutenant Commander for the U.S. Public Health Service Commissioned Corps, an elite group of public health leaders who respond to national health crises.